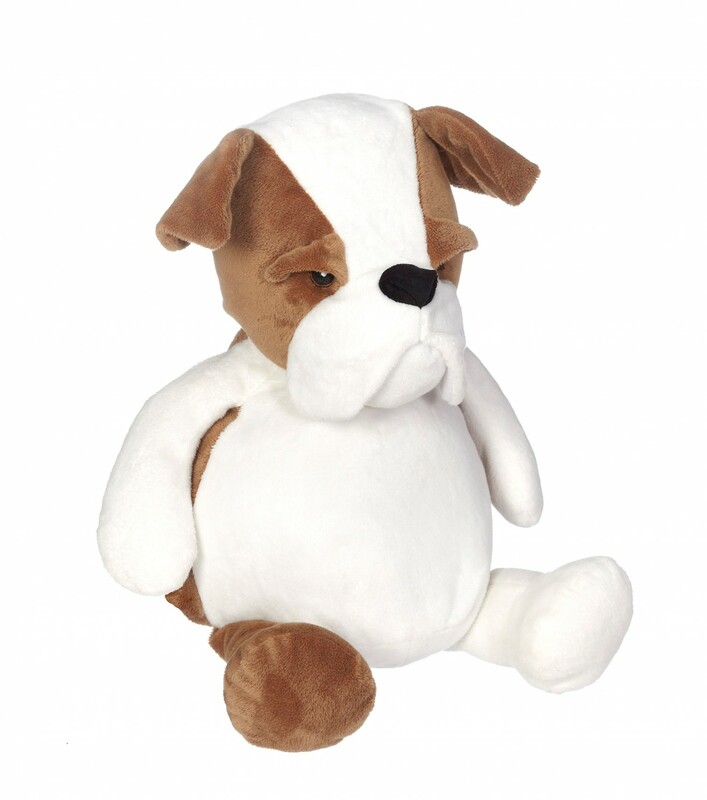 Embroider Buddy is excited to introduce Buster Bulldog 16in. What can we say about Buster Bulldog but CUTE! His floppy ears, great brows and jowls make him a Buddy no one will resist. Buster’s flat pile white belly will make this Buddy easier than ever to embroider. Self-contained stuffing pods for the head and belly are removable through a hidden zipper on the bottom of the bulldog making hooping and embroidery easy on any embroidery machine. Embroidery-friendly, low-pile plush fabric. Exceeds all applicable U.S., Canadian, and European safety standards. Pre-sewn, just add your embroidery!